When a serious injury caused by the negligence of an individual, a business, or the government derails your life, your future stability is linked to the compensation you receive. Medical costs, lost wages, and often a lengthy road to recovery are challenges through which victims and their families struggle. But the fight for a just outcome is more than a fight about money. Getting the compensation you deserve is about justice. The legal team at Andry Law Group, L.L.C. in New Orleans has fought for justice for 25 years to help clients move forward. Many people rely on their insurance to provide resources when the chips are down. Unfortunately, the insurance companies are frequently unwilling to pay a fair claim – especially when permanent, life-altering injuries are involved. The business decisions that insurance providers make are tuned to serve their own bottom lines – not the interests of policyholders. When a negligent party who does not have insurance causes harm, the battle for fair compensation can be more complicated. 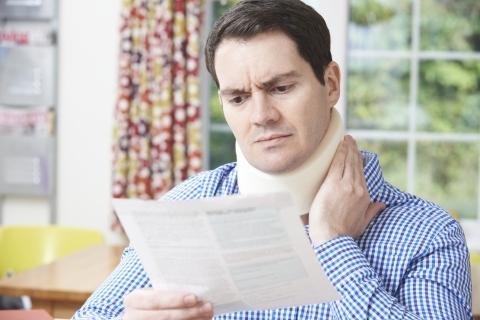 Get free legal advice from our personal injury lawyer now. Catastrophic injuries: Suffering a traumatic brain injury, losing the use of a limb through nerve damage or amputation or suffering disfigurement from serious burns or other catastrophic injuries can be life-altering – for victims and their entire families. We take pride in serving families with individualized representation during a difficult time. Wrongful death: The loss of a family member creates difficult financial and emotional challenges. We champion the rights of families when a negligent company, individual or government entity causes the death of a loved one. Wrongful death cases in Louisiana require strong advocacy to obtain justice. Motor vehicle wrecks: Motor vehicle wrecks remain a leading cause of injury throughout Louisiana. If you or a family member has been injured in a car accident, suffered serious harm in an accident with a truck or commercial vehicle, or has been struck by a negligent driver while riding a motorcycle, we are here to provide you with a solid voice in your personal injury claim. Product and drug liability: Our long-standing tradition of standing up to big business is your advantage when dangerous products cause serious (or fatal) injuries. Companies frequently ignore safety problems with their products to serve their bottom lines. We will level the playing field in product liability matters. When serious injuries are involved, everything you say to the insurance companies and negligent actors can harm your long-term interests. It is critical for you to team up with a skilled lawyer who will fight for you and for your family. When you work with a highly skilled attorney at Andry Law Group, L.L.C., you can rest assured that your best interests will be paramount every step of the way. Are You And Other Employees Facing Discrimination? What Does Mass Tort Law Mean?